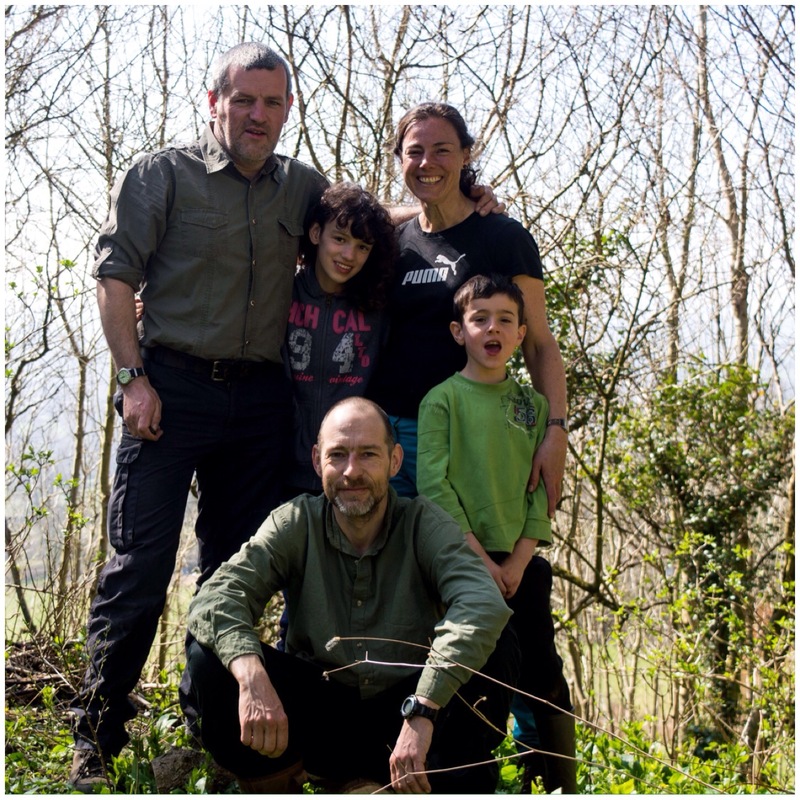 The Easter holidays were fast approaching and the question in our household was – where should we go? A camping trip was asked for but also a bit of seaside fun on the side. 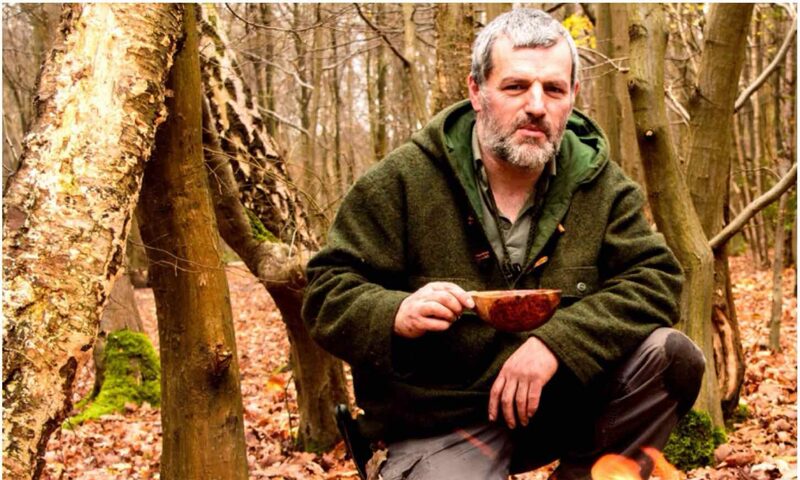 The answer was not difficult as my good friend Fraser Christian of Coastal Survival had been asking when we would come down to visit him in Dorset. Fraser lives off grid and runs excellent courses on the coast – All the boxes were ticked so off we went. I did though collect the Sea Kale you can see in the top left picture below (the purple coloured stems). Last time I was at Fraser’s the weather was wet and windy, this time even though it was still windy it was dry (and warm when not in the wind). 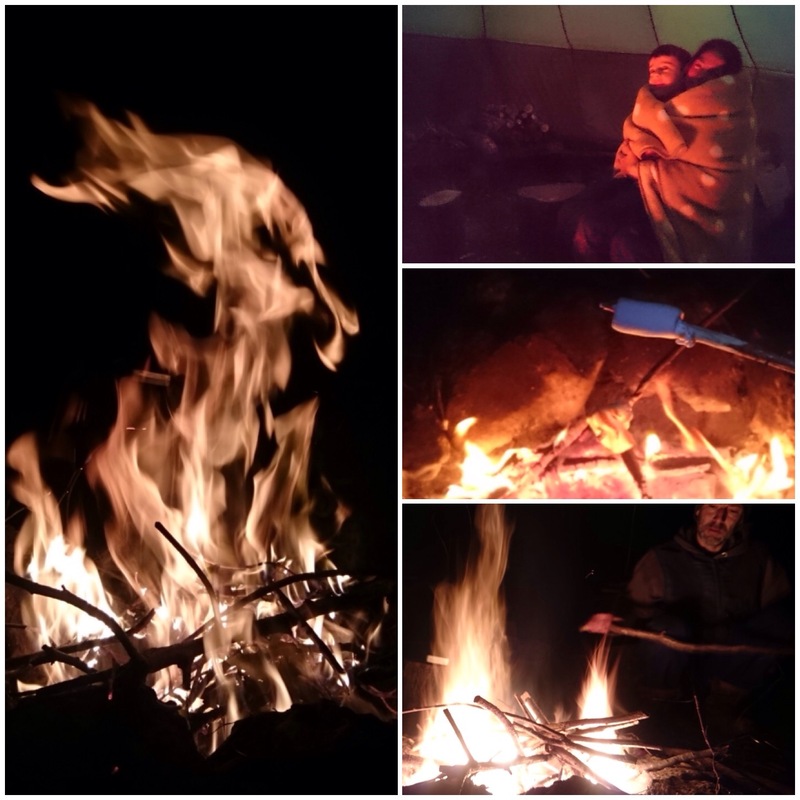 The sun was out and the skies were clear leading to cold but pleasant evenings around the campfire. 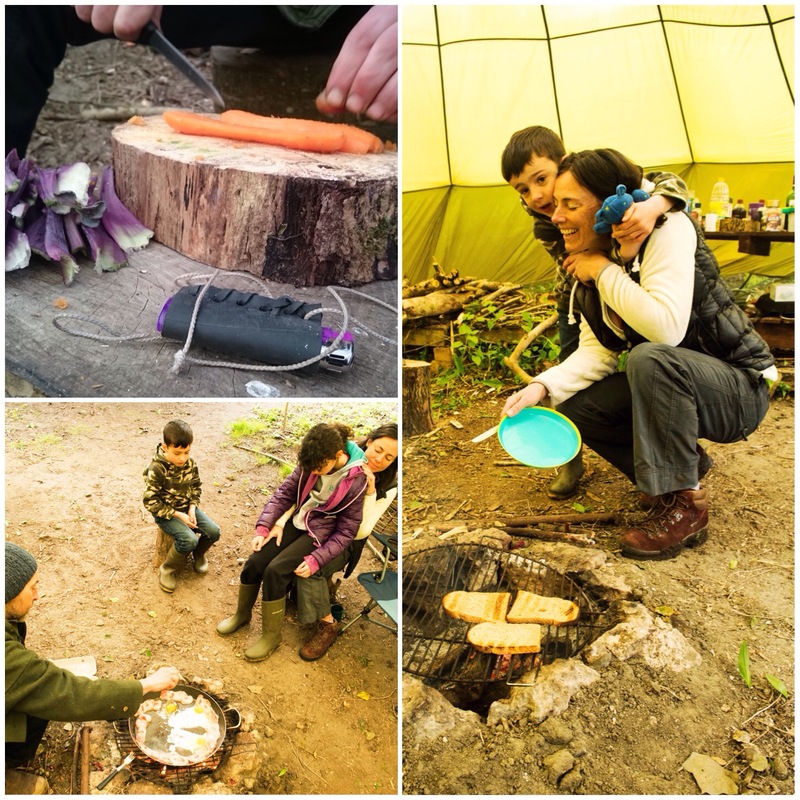 Stories were told, woodland TV was watched, marshmallows were toasted and a relaxing time was had. 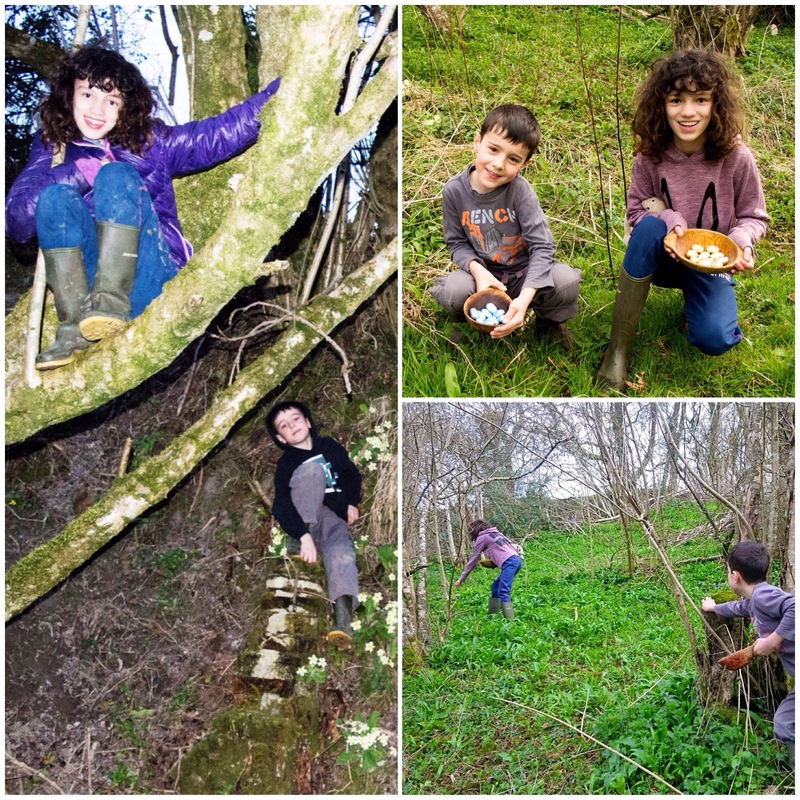 Catherine and Finlay had great fun all weekend – they made their own secret den (into which I was eventually initiated) and had great fun searching for lots of Easter eggs. When I was a kid it was expected that I’d go out in the morning, return for lunch and dinner but otherwise do my own thing. 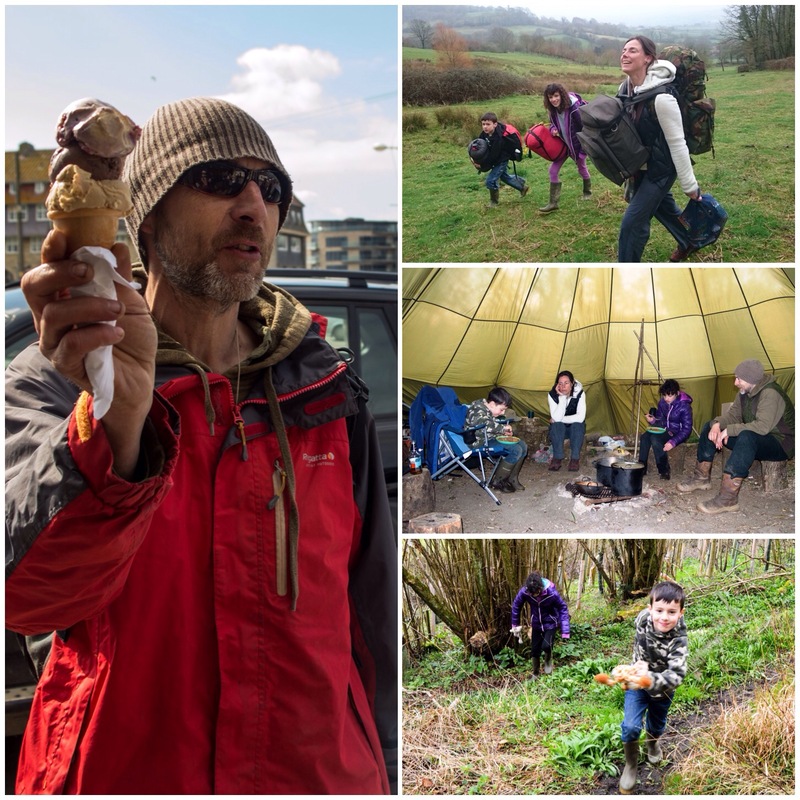 Even though we live in a village my kids do not normally have that freedom but here at Fraser’s they experienced so much more freedom: off they went exploring the woods and every now and then they popped back to the main campsite to have cuts, bruises and empty tummies attended to. 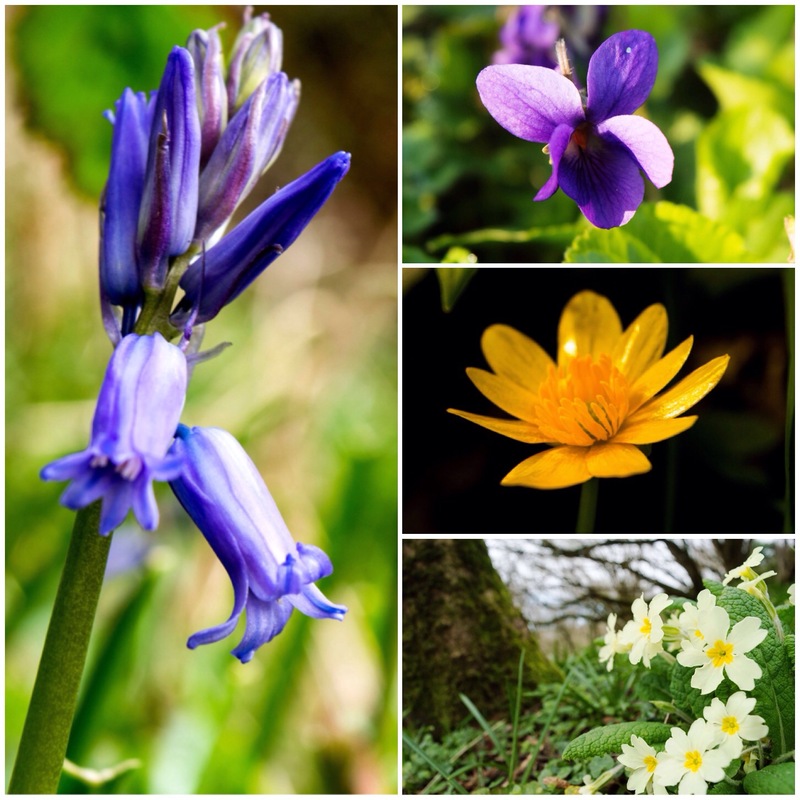 As usual I was on the lookout for some spring flowers and find them I did. I found my first bluebell of the year at Fraser’s as well as plenty of primroses (is it just me or has this year been particularly good for primroses?). Also in evidence were plenty of early dog violets and lesser celandine. One of the tick boxes for the weekend was time at the sea. I do not do beach holidays where you just sit about tanning yourself (my Scottish skin doesn’t like the sun too much) but like to spend time on the coast exploring and being generally active. Our first day at the sea was sunny but very windy. The kids had their wellies on but were soon in paddling. We tried to fly a kite but it was just too windy: after nearly hitting a few people I put it away (quite grumpily) and we headed inland to find some of the best fish and chips I have ever had (washed down with a nice pint). 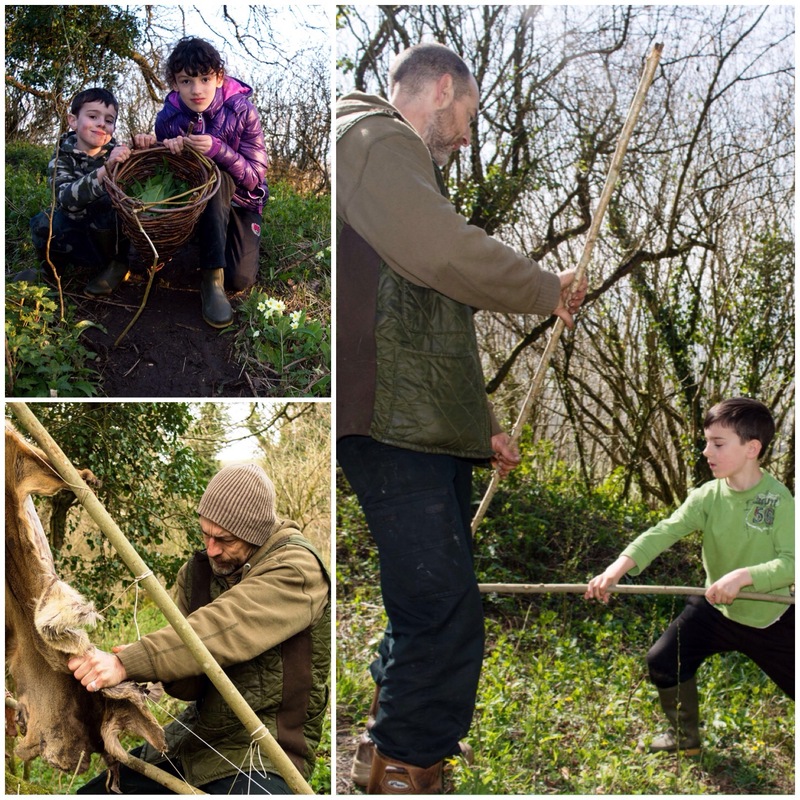 The kids learned about wild garlic and went out on their own to collect a massive basket full. Finlay and Fraser had fun practising some woodland ninja techniques (they are both competitive types so this was fun to watch). Our accommodation for the weekend was in hammocks. My kids are very happy now to sleep in them. I set up four under individual tarps. 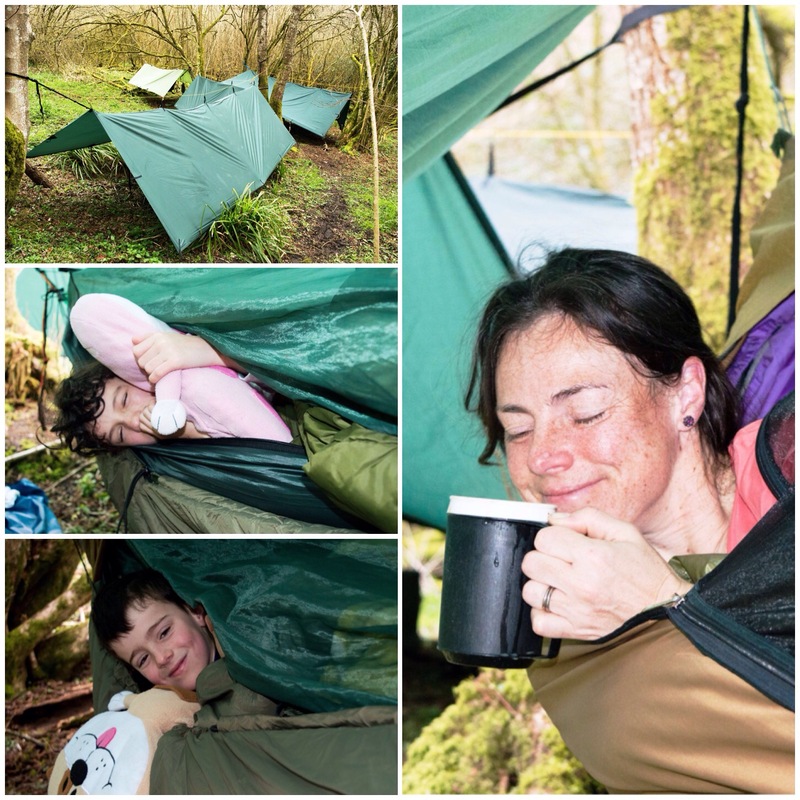 Each hammock had an under blanket attached to keep out the cold air, a roll mat, sleeping bag and top quilt. Everyone was as snug as a bug in a rug you could say. A tradition we have these days is for Alison to get a cup of coffee in the morning while still in her hammock – I failed with this on the first morning I am afraid but tried to make up for it on the other mornings. 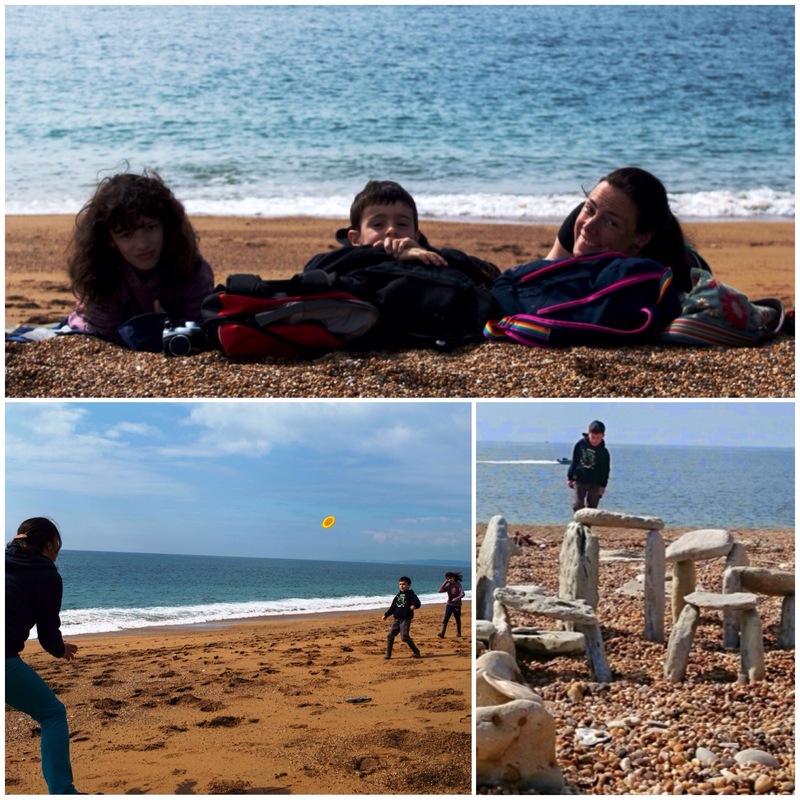 Our second day on the beach was spent playing with a frisbee, watching the fishermen cast and discovering and building little beach henges. 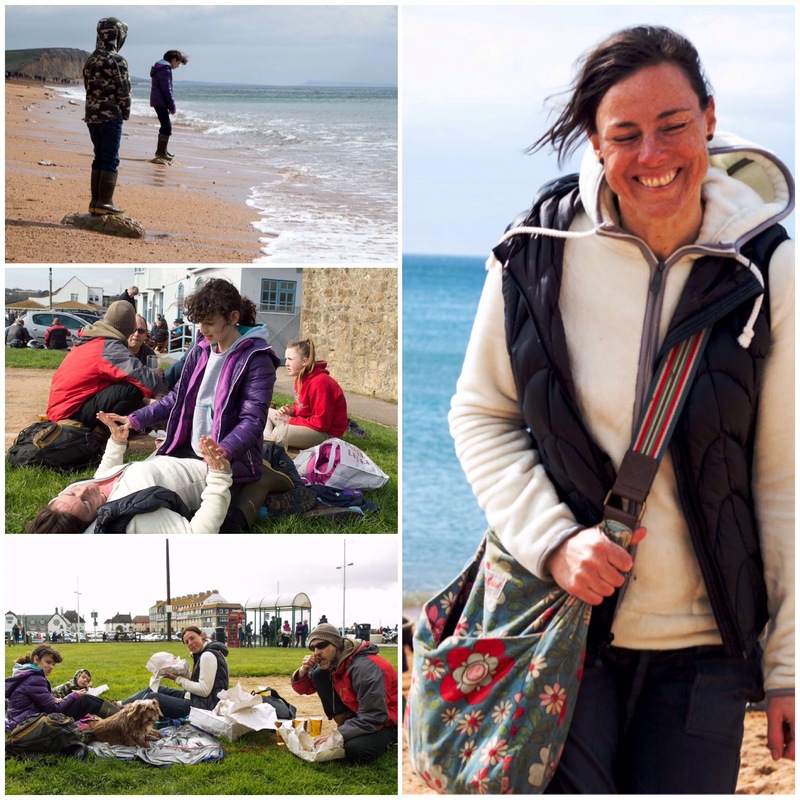 We had a lovely stroll along the coast foraging for sea kale and some scurvy grass. I found plenty of sea kale but no scurvy grass (as expected, comments were made about my poor foraging skills). 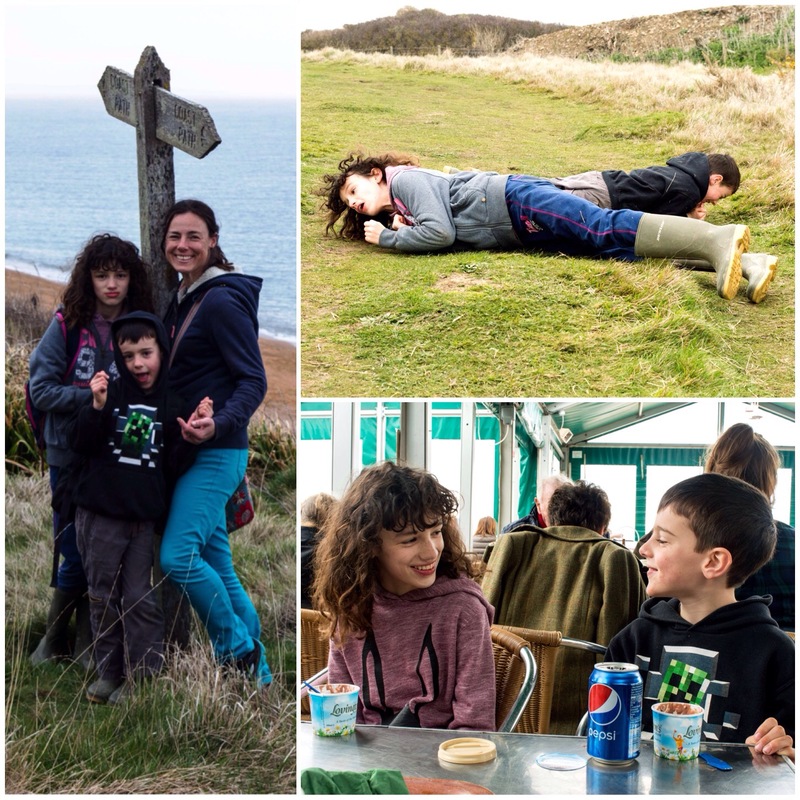 We found a nice beachside café to rest up in and a lovely grassy slope for the kids to roll down – perfect. On the last evening before we left I asked the kids if they wanted to shoot some arrows. Only Finlay took me up on my offer and off we went. 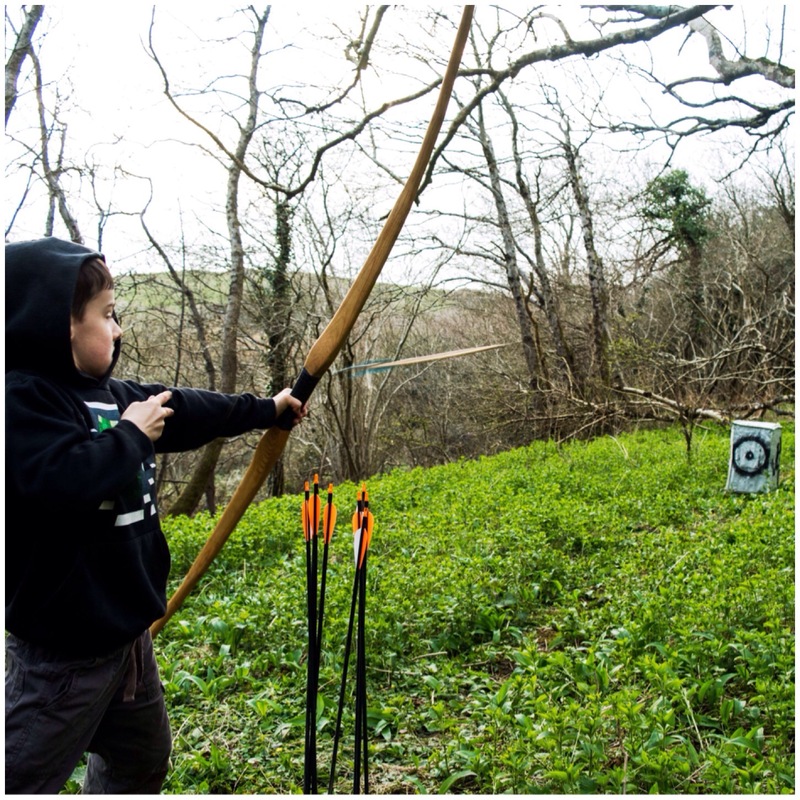 Finlay is seven and has shot before with his own smaller bow or with me on the larger holmegaard you can see here. This was the first time he had shot the holmegaard on his own. It is a full-sized bow but not heavy in terms of draw poundage. I was impressed with his stance and his ability to shoot with so large a bow and equally chuffed to capture this great shot of the arrow in flight. So all the boxes were ticked and we took a group picture of the happy campers before heading off. Fraser was a great host and we were all sad to leave, however we will be back again if Fraser will have us. As well as taking my usual mass of pictures I put together this short video of the weekend. Welcome any time! What’s mine is yours! Cheers buddy. Glad you liked it.